In fall 2018, Virtua achieved the highest honor in nursing excellence through the Magnet Recognition Program® of the American Nurses Credentialing Center. Only about 8 percent of hospitals across the country earn Magnet-recognized status. We think that’s reason to celebrate. Take a look at the images below and use the hashtag #VirtuaNurse on Instagram or Twitter to join the fun. 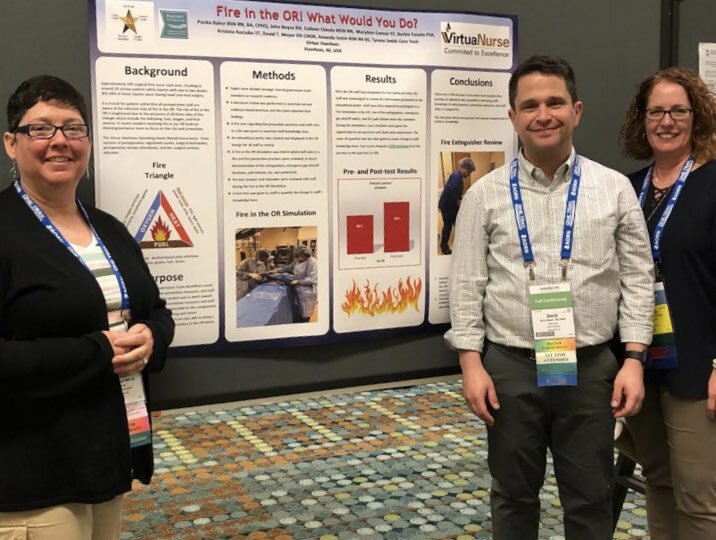 Poster presentation on Fire in the OR at AORN National Conference!! !